You may remember, I was hit by a car just over a year ago. I can remember every detail of that morning, expect the moments between being hit by the car and hitting the ground. My bike was totaled, but since I could get up off the ground I figured I was ok. Long story short, I wasn’t ok. I’ll spare you all the minute details, but if you ever have weird pains that aren’t apparently visible to the eye or an MRI, you may be dealing with fascia injuries . along the front line of the body. What is fascia? Fascia is that stuff under the skin on your raw chicken thighs you had for dinner last night. It binds the skin to the meat. It’s made primarily of collagen fibers, and like a web, it wrap around all your muscles, organs, blood vessels, nerves, bones, joints. It’s everywhere! Think of it as this helix-like webbing that runs throughout your body and connects everything together. Tom Myers, author of Anatomy Trains describes it as myofascial meridians, that run across, around and through your body like a map connecting the body from head to organ to toe. That’s why people who have organs removed or surgeries can feel pain far away from the inscison. That missing fascia along a fascia line can trigger pain in remote areas of the body. Or when a person is injured in one part of their body, like with a sprained ankle or whiplash, he/she can develop new body mechanics compensating for the injury, then develop shoulder pain or even something like TMJ disorder because their fascia has taken on a twisted new form. It's all connected. And to me, it's all fascinating! A lot of the medical community is not up to speed on fascia, but in 2007 Harvard Medical School hosted the first International Fascia Research Congress and those up-to-date in the medical community have been talking about it ever since. MOVE! : Your fascia should glide smoothly, but inactivity and poor posture gum-up your fascia which creates pain and limit range of motion, which then turns into an evil cycle. You hurt, so you don't want to move, but if you moved you'd feel better. Somatic stretching bit before getting out of bed can help. (I show clients how this is different from regular stretching, but Martha Peterson's Move Without Pain is a great resource. HYDRATE: Drink up plenty of H20 to keep your fascia supple. BREATHE: Chronic mental and physical stress is not doing you or your body and good. That perpetual state of fight or flight is taking a serious toll on you, your brain, and your fascia. Practice belly breathing. Spend some time away from electronic distractions, i.e. your phone, computer and TV. 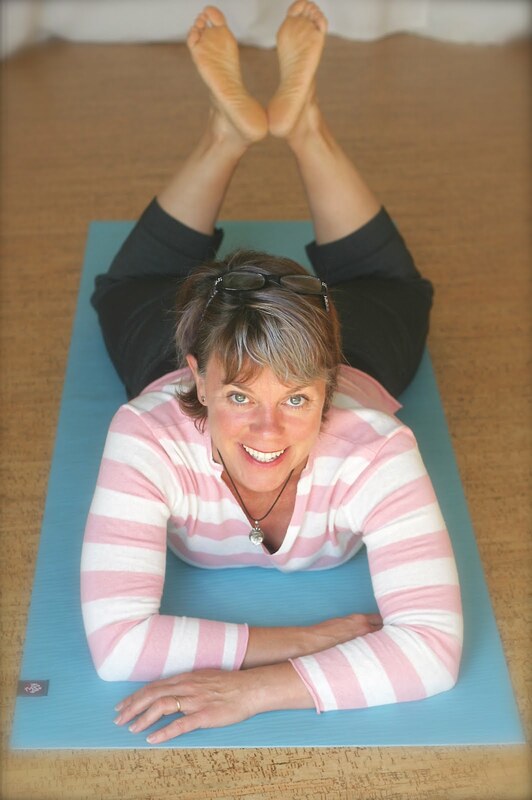 Nancy Swayzee's Breathworks for your Back will show you tons of breath exercises to helps with pain. STRETCH: Proper stretching is just another form of movement, but with a focus on moving the body in ranges of motion that it’s not accustom to. Tight muscles means tight fascia. Tight fascia can become rigid compressing the muscles and the nerves. Tight fascia can be very stubborn so don’t force it. Best to go to that very first point of tension of a stretch and hold it for an extended period of time. Some even recommend holding it for 3-5 minutes. Personally I think moving in and out of the stretch very gently and slowly for several seconds then holding it works well, and it’s not nearly as boring. USE A FOAM ROLLER: My foam roller is my DIY massager! Injuries, surgeries, poor posture, etc can result in fascia adhesions/scar tissue that no amount of stretching is going to release. Once again, don’t force it. If you roll on a super sensitive spot, ease off a bit, then hold it a while until it releases/relaxes. This method can require daily practice for weeks to get best results. But it’ll work wonders and it’s much more affordable than daily massages. HEAL YOURSELF: An injury to your body in one place, can trigger a pain somewhere else later down the road, because your fascia/muscles compensate with altered body mechanics which then become your new pattern. Better to address the issue at hand and then get back to your pre-injury routine later. SEE A MOVEMENT EDUCATION THERAPIST: Some chiropactors, personal trainers, physical therapists, or specialty therapists (Somatic, Alexander Technique or Egoscue Therapy) can help. Ask around. As a personal trainer I can't diagnose you, but I can do assessments and suggest postural corrective exercises and somatic stretches. Like I said, the world of fascia is just opening up. It's amazing and I'm excited to discover more about it all time. …stay tuned!